– The U.S. Constitution, Article II, Section II, Clause I Many of our presidents served in America’s military. Although not a presidential requirement, military experience – especially distinguished service – has been key to election day success for a number of candidates. According to the U.S. Department of Veterans Affairs, 26 of our 44 presidents were veterans upon entering office. Our presidents have had a wide variety of military experiences. Colonel Teddy Roosevelt led the Rough Riders in Cuba during the Spanish-American War. Lieutenant John F. Kennedy became a hero in the storied PT109 engagement of World War II. Captain Ronald Reagan also served the country in World War II – although he never saw combat. The presidency demands inspiring leadership and decisive action. It’s no surprise that of the 26 presidents who served in the military, twelve were generals. Presidents have been lauded and derided for their actions on the battlefield. Some even became national heroes at war’s end. 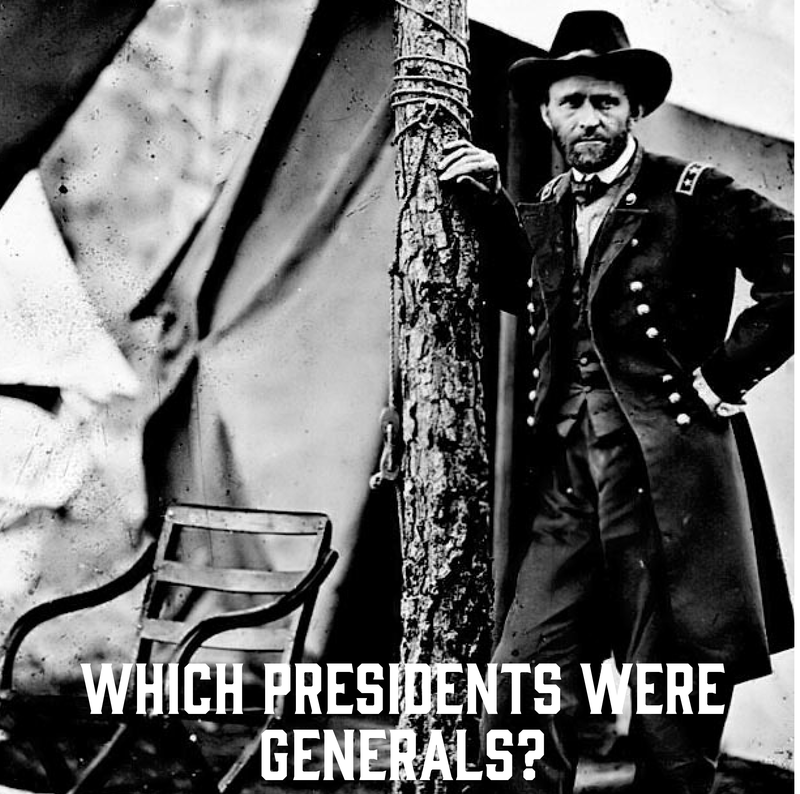 But, which presidents were generals? From 1775 to 1783 George Washington served as general and commander-in-chief of the Continental Army during the Revolutionary War. After the war, Washington relinquished his power by resigning his commission. The General retired to his Mount Vernon plantation, but this retirement wasn’t long. Washington was called to the highest office in the land in 1789 with a unanimous electoral vote. In 1976 President Gerald Ford promoted Washington to “General of the Armies of the United States,” out-ranking all past and present officers in the United States Army. Washington stands alone as the definitive combination of military hero and political leader. Andrew Jackson’s fighting days began at a young age. At fourteen he served in the Revolution as a messenger from 1780-81. As the well-known story goes, after being captured by the British, a young Andrew refused to shine the boots of a British officer. For his defiance, the officer slashed Jackson in the face with his sword. Jackson ultimately gained national fame as a hero in the War of 1812. 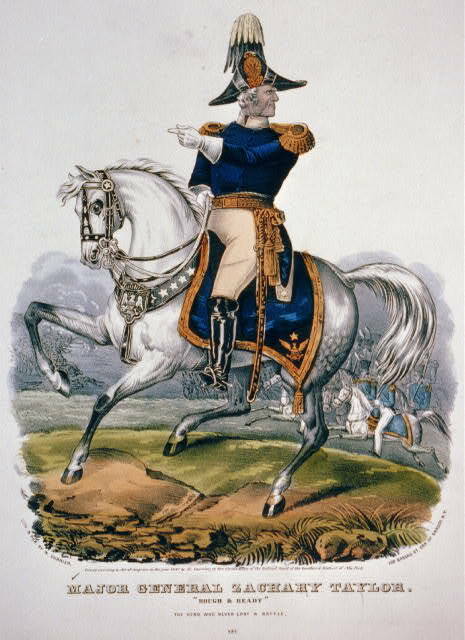 In the winter of 1814-15, Major General Jackson planned and led an outright triumph against the British at the Battle of New Orleans. Known by Americans as the “Hero of New Orleans” Jackson’s wartime experience paved the way for his entry into the White House 14 years later. After the War of 1812, Jackson continued his military service as Commander of U.S. Forces in the Seminole War (1817-18). His forceful leadership style was seen as dictatorial by some. However, Jackson was popular among many of his troops, who called him “Old Hickory” because the general was as tough as hickory wood. Jackson’s harsh treatment of the tribes of the Southeast can’t be ignored. Nevertheless, it is no doubt that Andrew Jackson earned the support and admiration of many Americans for his wartime heroics. William Henry Harrison‘s roots in American politics go all the way back to the founding of the country. Benjamin Harrison V, father of William Henry Harrison and great-grandfather of Benjamin Harrison, signed the Declaration of Independence. Building upon the family name, William forged his identity as a soldier. During the War of 1812, General Harrison led troops against British-Native American alliances. In 1836 the newly-formed Whig party seized upon Harrison’s military fame and nominated the general as its presidential candidate. Harrison lost that election to Martin Van Buren, but in 1840 Harrison returned to defeat the incumbent Van Buren. The election of 1840 could be considered the first major presidential political campaign. In addition to homespun imagery with hard cider and log cabins, campaign propaganda mostly ignored the issues and instead included Harrison’s military accomplishments of decades past. When the aging Harrison was elected president in 1840, he was 68 years old – the oldest president to be elected at the time. On a cold and blustery Inauguration Day, Harrison gave a record one-hour and forty-five minute speech. “Old Tippecanoe” fell sick soon after and died only a month after becoming president. Zachary Taylor was a career soldier. He was commissioned as an officer in 1808, and after that he fought in nearly every American conflict until he became president. Taylor was a major in the War of 1812, a colonel in the Black Hawk War in 1832, and a brigadier general in the Seminole War from 1836 to 1837. It was his success in the Mexican-American War (1846-48) that made him a national hero and set the stage for his unlikely presidential victory. Taylor was courted by both the Democrats and the Whigs. Eventually he settled with the Whigs and was nominated for president in 1848. In an election in which he voted for the first time, Taylor defeated another former general, Lewis Cass. “Old Rough and Ready” became our twelfth president and our fourth general president. Having endured countless battles, President Taylor passed away from a stomach ailment that may have been cholera – a little over a year after becoming president. Franklin Pierce quickly rose through the Army’s ranks, but his path to brigadier general had many stops along the way. His father, Benjamin Pierce, was a militia leader in the American Revolution. Benjamin Pierce’s military service helped him eventually become governor of New Hampshire. Following in his father’s footsteps, Franklin entered politics after college. Pierce became a U.S. representative (1833-37) and a U.S. senator (1837-42) before he quit and left D.C. to practice law back in New Hampshire. Not long after that, the Mexican-American War erupted in Texas, along the U.S.-Mexico border. Pierce joined the army as private in 1846, and – due in part to his connections with President James K. Polk – Pierce was a brigadier general by mid-1847. The new brigadier general commanded over 2,000 troops, despite a blank military record. Brigadier General Pierce didn’t see much success in war. In fact, his political opponents pointed to a battlefield incident in which Pierce passed out. The episode took place at the Battle of Contreras where Pierce sustained a serious leg injury after falling from his frightened horse. This is when Pierce earned the unfortunate nickname “Fainting Frank.” Battlefield mishaps aside, Pierce could now add “Brigadier General” to his political résumé. In 1852 the Democratic Party nominated Pierce for president. Pierce was a northerner who supported slavery – a compromise candidate for the fractured party. Leaving “Fainting Frank” for “Young Hickory of the Granite Hills,” the Democrats tried to position Pierce as a newer, perhaps tamer, version of the party’s standard-bearer, Andrew Jackson. Pierce’s military experience was highlighted in the campaign, but it would prove difficult to overshadow his opponent’s record. The Whigs nominated General Winfield Scott, Pierce’s commander during the Mexican-American War. Pierce didn’t campaign much. Instead, an old college buddy, Nathaniel Hawthorne told most of Pierce’s story in a flattering biography. Pierce won the election and became our nation’s fourteenth president. Scholars tend to rank Pierce’s one term in the White House as one of the worst. The Civil War produced six presidents of the General Bond. Every president from Andrew Johnson to Benjamin Harrison (except Grover Cleveland) was – in the broadest definition of the word – a general in the Civil War. According to the Smithsonian National Museum of American History Andrew Johnson was indeed a general. He is dubbed a “Brigadier General, U.S. Army (Volunteers), 1862-1865.” Since he served during the turbulent times of the Civil War, Johnson’s military service is unusual and difficult to define. At the outbreak of the Civil War, Johnson was representing his home state of Tennessee as a U.S. senator. Johnson was pro-slavery, but disagreed with secession. When Tennessee seceded Johnson stayed loyal to the Union, becoming the only southern senator to keep his seat in Congress. Johnson’s property was confiscated and his family left Tennessee, and in the North, his courageous act garnered popular support. In 1862, Abraham Lincoln appointed Johnson as military governor of Tennessee, with the rank of brigadier general. Johnson held this position throughout the Civil War until he was elected Vice President in 1864. As a pro-Union Southerner, Johnson was a nice fit for the 1864 ticket. After Abraham Lincoln’s assassination, Johnson succeeded to the presidency as our nation recovered from the war . Most historians view Johnson’s presidency as one of the worst. Charged with an enormous responsibility, Johnson failed significantly as our country’s leader. 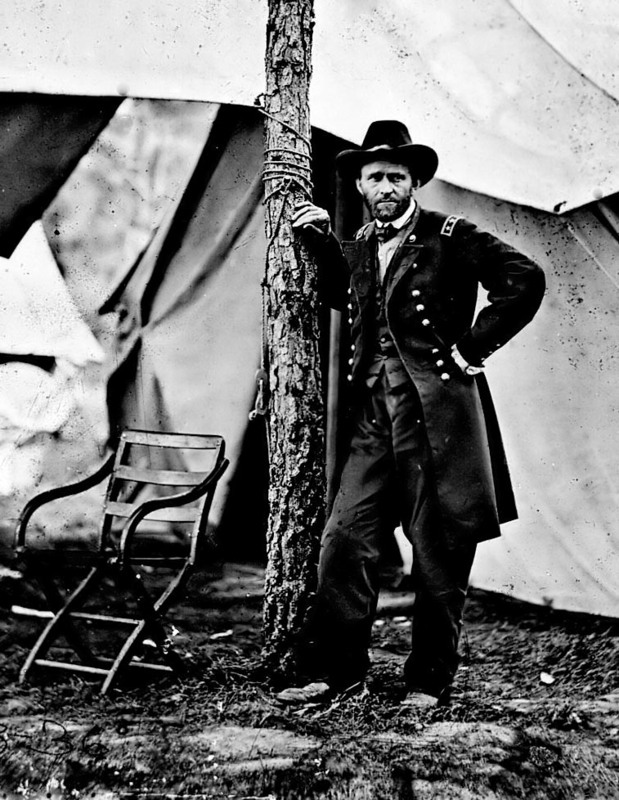 Ulysses S. Grant was the Union Army’s greatest military hero. His nicknames say it all: “Unconditional Surrender Grant;” “The Hero of Appomattox.” His leadership as a Union general during the Civil War launched his political career. 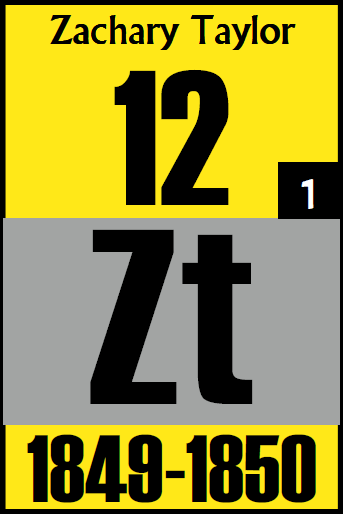 Grant’s battlefield experience began in the Mexican-American War where he served under General Zachary Taylor. Grant also served with men who would later become enemies in the Civil War, including Robert E. Lee. After Lee’s surrender, Grant became one of the most admired men in the Union. Grant’s political career arose directly from his experiences on the battlefield. 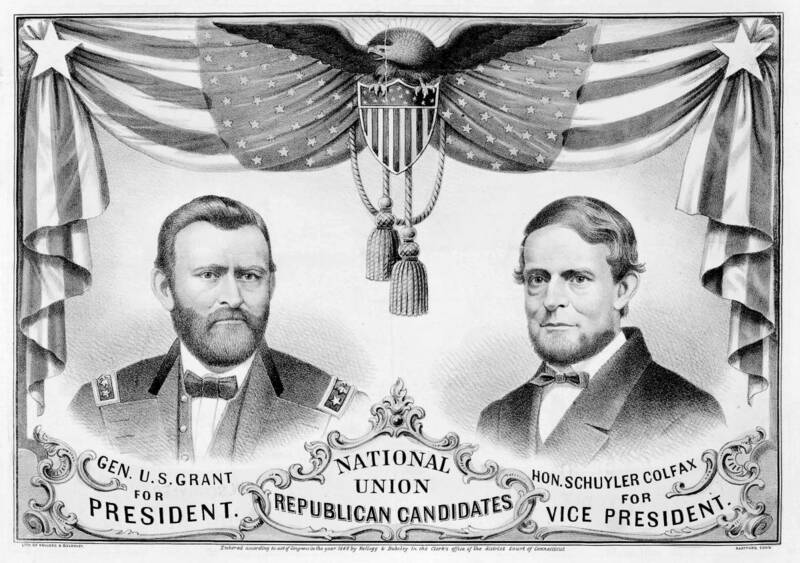 Like other general-presidents before him, Grant knew little of politics when the Republican Party turned to him in 1868. During the election he ran on his success as a general, and it worked. General U.S. Grant was elected twice, but his presidency was marred by corruption and allegations of incompetence. Although his two terms were marked by scandals, Grant’s military service to his country remained unquestioned. After his years in the White House, Grant made some unwise investments that nearly ruined him financially. But, Grant didn’t surrender. To earn money, he began to write magazine articles about the Civil War. Then, Mark Twain approached him to write his personal memoirs. Around this time, the aging general was diagnosed with throat cancer, and he worked tirelessly to complete his book before he died. Grant wrote until the last month of his life. Grant’s Personal Memoirs was a huge success. Considered among the greatest of military memoirs, the two volumes were a best-seller and ensured financial security for his family. 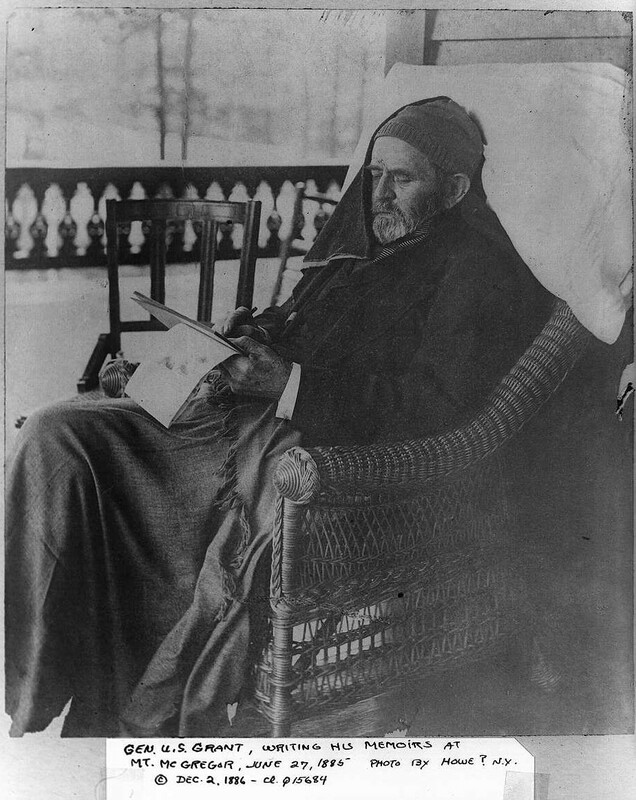 Weeks after completing his memoirs, Ulysses S. Grant died on July 23, 1885 at the age of sixty-three. After the Civil War, it seemed that military service (for the Union) was a prerequisite to become president. Andrew Johnson, Grant, Hayes, Garfield, Arthur, and Harrison all served in the Civil War as generals – in the broadest sense of the word. When the Civil War broke out in 1861, Rutherford B. Hayes was almost forty years old and working as a lawyer. Heeding the call of duty, Hayes enlisted as a three-year volunteer for his home state of Ohio. Hayes was put on the officer fast-track – due in part to his political connections. He eventually rose to the rank of major general, but his time in the military was not easy. While serving, he was wounded a total of five times. After the Civil War, Hayes’s military record helped to get him elected as a member of the U.S. House of Representatives and then as the governor of Ohio. The Republicans viewed Hayes as an acceptable candidate for president, due in part to his distinguished military record and personal integrity. In 1876 Hayes defeated Samuel J. Tilden in one of the most disputed presidential elections in United States history. Tilden garnered over 250,000 more popular votes than Hayes, but after questionable results in Louisiana, South Carolina, and Florida, a special electoral commission settled the election by naming Hayes president. 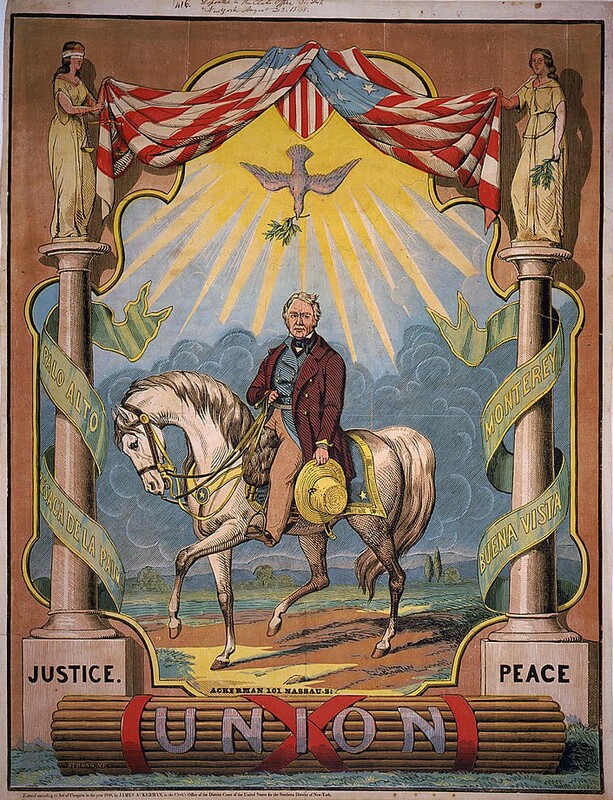 Many scholars agree that the 1876 election tainted his one term as president. Nevertheless, President Hayes filled the office of president with sincerity amid turbulent times. James A. Garfield was the last president to be born in a log cabin. He rose from humble beginnings to become a classics professor at Hiram College. After the Civil War erupted at Fort Sumter, Garfield volunteered and joined the Ohio militia. He fought bravely in battles such as Shiloh, Middle Creek, and Chickamauga. 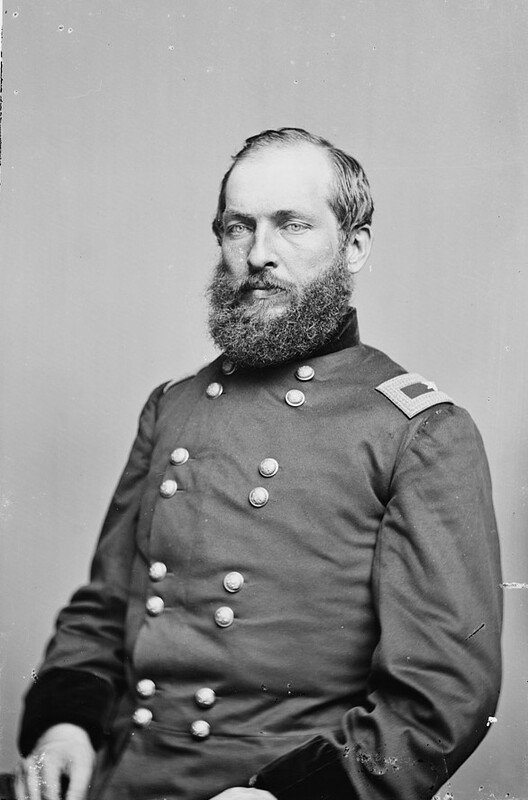 At the age of thirty, Garfield became a major general – one of the youngest officers in the Civil War to hold the rank. But, by December 1863 Garfield resigned from the Army. He was elected to the U.S. Congress as a representative from Ohio. Being a war hero, Garfield didn’t campaign for a single day. Garfield was elected to nine straight terms in the U.S. House of Representatives. By 1880, Garfield was a leader of the Republican Party, but he was still considered a dark-horse presidential nominee. Nevertheless, Garfield was nominated by the Republicans and won the 1880 election. Garfield’s term as president did not last long. While walking through a Washington train station, Garfield was shot by an insane office seeker. Doctors tried to save the President’s life, but searched for the bullet in vain. Alexander Graham Bell was even called in to locate the bullet with a metal detector that he invented. It is thought that the doctors may have done more harm than good. President Garfield died on September 19, 1881 – nearly two and a half months after being shot. During the Civil War Chester A. Arthur served as Quartermaster General of the State of New York. He was appointed to the position by New York’s governor. Quartermaster General Arthur was in charge of provisioning and housing New York’s troops. By 1863 Arthur hadn’t fired a shot on the battlefield. He retired from the Army and returned to practicing law. As Collector of the Port of New York, Arthur was firmly established in the Republican Party. 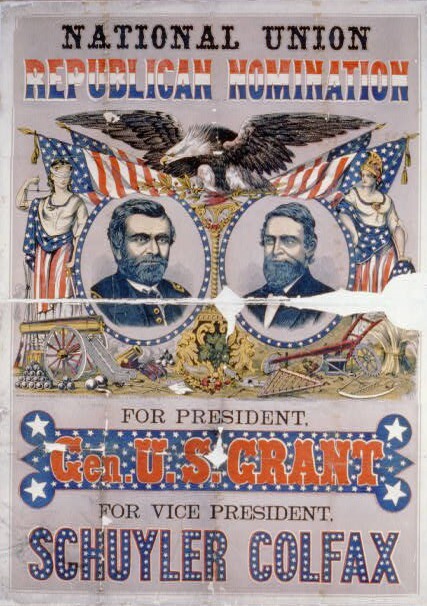 By 1880 he found himself in the presidential race as Garfield’s vice presidential candidate. Following Garfield’s assassination, Arthur succeeded to the presidency. Arthur served one term as president, but was not nominated by the Republicans in the 1884 election. Throughout his presidency Arthur suffered from Bright’s disease. Just two years after leaving office, Arthur died at the age of fifty-six. Benjamin Harrison is the only president who is a grandson of another president. Descended from William Henry Harrison, Benjamin Harrison carried his family name into both the military and political worlds. In 1862, Harrison became an officer in the Civil War. He quickly rose through the ranks – from second lieutenant to brigadier general by 1865. After his service in the Civil War, Harrison entered politics as a Republican. He ran for governor of Indiana in 1876, but lost. He won a U.S. Senate seat in 1880, but was defeated in his re-election bid. The Republican Party nominated Harrison in the presidential election of 1888. Despite losing the nation’s popular vote, Harrison defeated the incumbent Grover Cleveland. Then in a presidential rematch in 1892, the incumbent Harrison was defeated by Cleveland. Dwight D. Eisenhower was one of America’s greatest military commanders. Like Z achary Taylor and Ulysses S. Grant, Eisenhower was a career military man who had never held political office before becoming president. Seizing upon his national popularity as a World War II hero, the Republican Party nominated Eisenhower as its candidate in the presidential election of 1952. “Ike” defeated Adlai Stevenson in a landslide: 442 to 89 electoral votes. Then in 1956, the popular incumbent president once again defeated Stevenson in another landslide, winning 457 electoral votes to Stevenson’s 73. Eisenhower ‘s career in the military began when he entered the U.S. Military Academy at West Point, New York in 1911. Eisenhower became an officer in the U.S. Army in 1916. In the years that followed, one of his duties included the Army’s 1919 Transcontinental Motor Convoy, a 62-day nationwide trek from Washington, D.C. to San Francisco. This early experience influenced Eisenhower’s later interest in building an interstate highway system. In 1942 General Eisenhower became the Commander-in-Chief of Allied Expeditionary Forces in North Africa. Then, from 1943 to 1945, Eisenhower was named the Commanding General of Allied Powers in Europe. By war’s end, Eisenhower became famous for being the man who fused the Allied armies into a unified power that won the war in Europe. Davis, Kenneth C. Don’t Know Much About the American Presidents. New York: Hyperion, 2012. Flagel, Thomas R. The History Buff’s Guide to the Presidents. Naperville, IL: Cumberland House, 2012. Smith, Carter. Presidents: All You Need to Know. Irvington, NY: Hylas, 2005. Wilson, Vincent, Jr., and Gale S. McClung. The Book of the Presidents. Brookesville, MD: American History Research Associates, 2013. Previous Post Which presidents are related?